We’re on forefront of innovative treatments that are changing people’s lives. We’re the premier ketamine center of Connecticut offering IV Ketamine Infusions and we’re the best and most experienced. We began offering ketamine treatment years before ketamine was named one of the 6 Best Medical Achievements of 2017 That Everyone Should Know About! This advanced, innovative, extraordinarily effective treatment provides relief in 80% of our patients with severe or chronic depression and anxiety. And we offer extended hours so that you don’t have to miss work or school. We want to make it easy for you to get well. Low dose ketamine administered intravenously has been shown to stimulate new synapse formation and neuronal rearborization through increased ribosomal transcription of DNA and at least 3 other mechanisms — it is one of the most exciting developments in psychiatry in years, and represents a true paradigm shift in our approach to depression and anxiety. Several scientific studies, including those conducted at Yale and the National Institutes of Mental Health, have shown that even a single low dose of intravenously administered ketamine can dramatically improve symptoms associated with depression and anxiety. Moodiness, hopelessness, decreased concentration, low self-esteem, impaired sleep, decreased sexual desire, impaired appetite and suicidal thoughts can improve within just a few hours. Many studies have shown that a short series of treatments can lead to dramatic responses and to full remission much more quickly than any other medication we prescribe. This is what we see, too. And recent studies at Yale and Columbia have shown that ketamine can re-establish interrupted nerve connections that are necessary to process and overcome traumatic memories. It can be an extraordinarily effective treatment for PTSD. We provide IV Ketamine Treatment as a rapid opportunity for remission and as add-on therapy to the psychiatric treatment you’re already receiving, tailored to your unique medical profile. Most people receive 6 treatments over about 2-3 weeks. 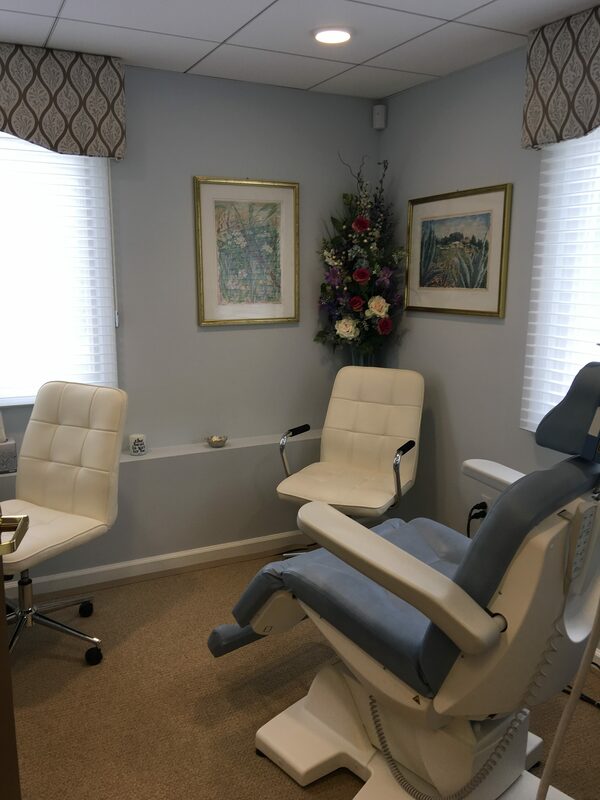 The treatment is administered with state of the art technology and careful monitoring in our beautiful and comfortable office — not in a hospital or clinic. We coordinate treatment with everyone involved in your care and customize your dose and the infusion schedule for maximal response. If what you’re doing isn’t working, call us. We’re here for you. Will IV ketamine help my treatment resistant depression? Based on research at major medical centers over the past 15 years, and in our own experience, up to 80% of all patients can expect significant and fast relief. Of course, we can’t predict your individual results but we offer genetic testing to help determine whether you are likely to respond to IV ketamine treatment and likely to respond rapidly. We use evidence-based treatment protocols and we tailor your treatment to offer you the best chance of success. That depends on your response. Most responsive patients receive a series of six infusions but some patients need an additional 2 or 3. We’ll work with you to customize every aspect of your treatment for the best possible outcome. Our goal is to see you flourish. Intravenous infusion is the safest, most reliable, and most effective way to administer precision doses of ketamine for treatment resistant depression and anxiety. We hold to the highest standards of the American Psychiatric Association and the American Medical Association. Finally, in our practice, IV ketamine infusions pose zero risk of abuse or addiction for our patients. Are there any long-term side effects with ketamine treatment? Traditional medications often produce side effects such as weight gain or sexual dysfunction. However, low dose IV ketamine treatment results in no known long-term side effects. There are very few. We’ll discuss any contraindications to IV ketamine that you may have during your evaluation. No, you or your family may call, as well as your psychiatrist, therapist or other specialists. We’ll work with you to obtain as much information as possible before your first visit. However, it’s important that we coordinate your treatment with your healthcare team — your current psychiatrist, therapist, and PCP, and any other specialists you choose. We offer IV ketamine infusions as an adjunct to your current treatment and we work as a consultation and specialty service for you and your doctors. We don’t want to take you away from them — we want to work with you, and with them, during and after your treatment with us. Probably not. Some patients achieve long-term relief after a series of infusions. I have bipolar disorder. Will ketamine make me hypomanic? Hypomania has not been reported following IV ketamine infusions. All of our IV ketamine infusions are administered on an outpatient basis in our beautiful, relaxing office using state of the art technology and continuous monitoring. If ketamine treatment works for me, how soon will I begin to feel better? You may begin to feel better within just hours of your first infusion. People with thoughts of self-harm often notice those thoughts often lift first. There can be dramatic relief of dread and hopelessness. Others may not notice any mood improvement until the next day. And some will require a second (or even a third) infusion before feeling better. We’ll monitor your progress carefully and adjust your dose and infusion schedule for your maximum benefit. Will my current psychiatric medications interfere with IV ketamine treatment? Anti-depressant medications (SSRIs, SNRIs, TCAs, MAOIs and atypicals) do not interfere with ketamine, and there is no need to stop or taper them. If you take a high dose of a benzodiazepine (alprazolam, clonazepam, or lorazepam), you will have a reduced response to ketamine, but taking these medications does not mean that ketamine cannot help you. Lamictal in doses over 100 mg/day may blunt your response to ketamine. You should not decrease or stop taking any prescribed medication without first consulting your psychiatrist or prescribing physician. We’ll work with him or her before your first appointment, so that you’re optimally ready to respond. Will my insurance company pay for ketamine treatment? No. IV Ketamine treatment for mood and anxiety disorders is an innovative treatment using ketamine off-label, so insurance companies do not provide reimbursement. Please call us if you’d like information about our fees. Yes and no. You need to have someone drive you home after your treatment, but you don’t need to have someone stay in the room with you during your infusion unless you prefer that. If you come with a family member or friend, they may relax in our waiting area, peruse our library of ketamine research articles, or dash out for coffee or errands — we have wifi, great magazines, a knock-out selection of gourmet teas — and we’re close to everything. You shouldn’t eat for 4 hours before your appointment, but you may have liquids freely. It’s important to arrive well-hydrated. What should I expect during my ketamine infusion? Ketamine is administered intravenously in a small amount of normal saline with a precision pump over a period of about 40 minutes and your dose will be determined by your body weight. The total dose of ketamine you’ll receive is very small and is not enough to cause loss of consciousness, so you’ll remain awake, but relaxed, and your vital signs will be continuously monitored throughout your infusion with the most sophisticated systems available for your safety and comfort. Most people prefer low lights and low stimulation with phones and gadgets off; some like to listen to soft music with earbuds. The less stimulation, the better. During the infusion, you’ll know who you are, where you are, and what is going on, but you should expect to “feel weird.” (Almost everyone reports this. No worries.) For most people, that means that within several minutes, your body will start to feel heavy and relaxed, maybe with a little tingling in your fingers — that’s just numbness — and you’ll start to feel floaty or day-dreamy. Some people say it feels “dissociative” or “out of body,” like they’re gently floating and looking down on themselves, aware of themselves. Still, most people say they can’t remember when they last felt this relaxed. Are there side effects that I could experience during or after my treatment? Occasionally you may experience some nausea or lightheadedness during or just after an infusion, which clears quickly. If you’re sensitive to nausea, or afraid you might be nauseous, we have medication that will help and we can administer it before, during, or after your treatment. More rarely, you may experience a bit of anxiety or a transient headache, and we can help with that, too. Very, very rarely patients at other centers who were already at risk for a seizure have reportedly experienced one. However, this has never occurred in our practice. If you have ever had a seizure, please be sure to tell us before your treatment. We will review all of this, and other potential side effects of ketamine used in other settings before your treatment. What happens after my series of ketamine treatments? Following your initial series of infusions, you may want to work with us to begin a maintenance program, returning for a single infusion, spacing those out at increasing intervals or intermittently, or you and your doctor may call us if you feel your symptoms start to creep back in after several weeks or several months. We work extensively to provide you the most effective treatment for your individual weight, body chemistry, and DNA. Call us now at 860.648.9755 to arrange an appointment for an evaluation. Let’s work together to help you get well. Not just a little better, but well.